For insured patients you need to speak with the Insurance company and obtain an authorisation code. Depending on the details of the problem and the specific Insurance company you may need to obtain a referral letter from your GP. Self-paying patients do not strictly require a GP referral, but this is often helpful as it will include details of your medical history. Contact my secretary to arrange an appointment with me at your convenience and provide details of the authorisation code and your Insurance company if relevant. When I see you in clinic at your preferred location and time, I will ask you all about your symptoms and restrictions and any other clinically relevant issues. I will undertake a thorough, targeted clinical examination and then arrange any necessary investigations if these are indicated. Once we have established the diagnosis and extent of your condition I will be able to fully explain and discuss the available management options with you and we can agree on the best course of action for you and your circumstances. Where a plan is made for surgery, you may need to check with the Insurer again before proceeding. We will place you on the waiting list and liaise with you to offer you a suitable and convenient date for your procedure. You will also be contacted for health screening, and may need to attend the hospital for pre-operative blood tests or an anaesthetic medical check-up if there is any significant medical history. You will be advised what time to attend the hospital for your operation and what time to stop eating and drinking from, as well as whether or not you need to stop any medication in advance. When you arrive at the hospital on your day of surgery, the nursing staff will have some paperwork to complete, and will assist you to get ready. I will confirm your consent for the procedure and draw a mark on the appropriate leg / foot/ toe. For some surgery a general anaesthetic (GA) is necessary, where you will be asleep. For other procedures it is possible to keep you awake by using local or regional anaesthesia. For cases where a GA will be used, the anaesthetist will introduce him/herself to you and discuss the anaesthetic plan with you. Expect to be discharged home on the day of surgery with a special shoe. 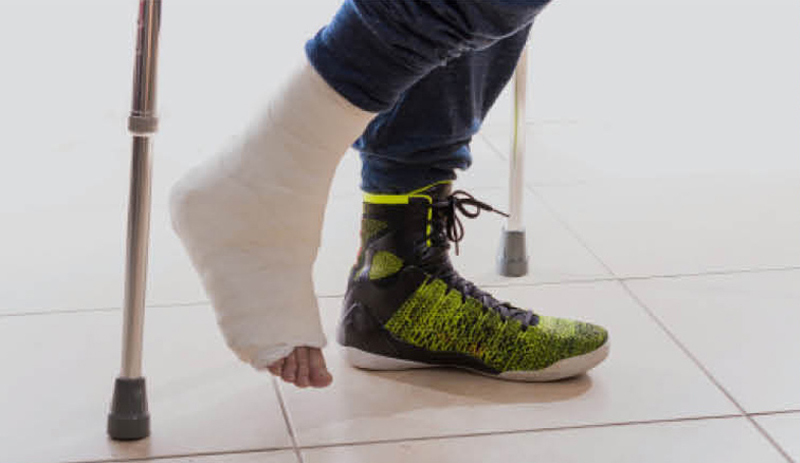 You will be allowed to walk immediately in the post-operative shoe, but I advise spending as little time as possible on your feet, and keeping them elevated as much as possible for the first 2 weeks. You can see your GP practice nurse at 2 weeks for a wound check. After 2 weeks, once the wounds are fully healed you can slowly increase the amount of time on your feet, but continue to use the post-operative shoe for as long as instructed. I will usually see you in my clinic around the 6 week stage and at this point we will aim to get you back into your own shoes and back to usual activities. Beware you will experience significant swelling of your foot for a good 6 months after your surgery. Be prepared for an overnight stay although it may be that you are discharged home on the day of surgery. You will initially have a temporary plaster of paris ‘backslab’ cast, and instructions to remain non weight-bearing with the help of crutches. I will see you in clinic at 2 weeks for a wound check and change to a full cast. You will need to stay non weight-bearing on the foot for at least 6 weeks, when I will see you again to remove the cast and get an X-ray of the foot to assess healing progress. I will aim to then allow you to start weight bearing in a protective boot for a further 6 weeks, after which you should be able to return to your usual footwear and activity. Significant swelling is to be expected for at least 6 months, and it will be 6 to 9 months before your foot feels good. We will usually prescribe you some anticoagulant (blood-thinning) medication for the period whilst you remain non weight-bearing in order to reduce your risk of developing VTE (venous thromboembolism), also known as blood clots/ DVT (deep vein thrombosis)/ or ‘economy class syndrome’. You will be discharged home on the day of surgery with crutches for comfort. You will be allowed to weight-bear as able on the foot and encouraged to undertake range of movement exercises. You may be advised to arrange a wound check with your GP practice nurse 1 to 2 weeks after the surgery, and I will see you after 6 weeks to see how you are doing. Note: In cases where ‘microfracture’ bone marrow stimulation is undertaken during the surgery, I may advise a period of non weight-bearing. 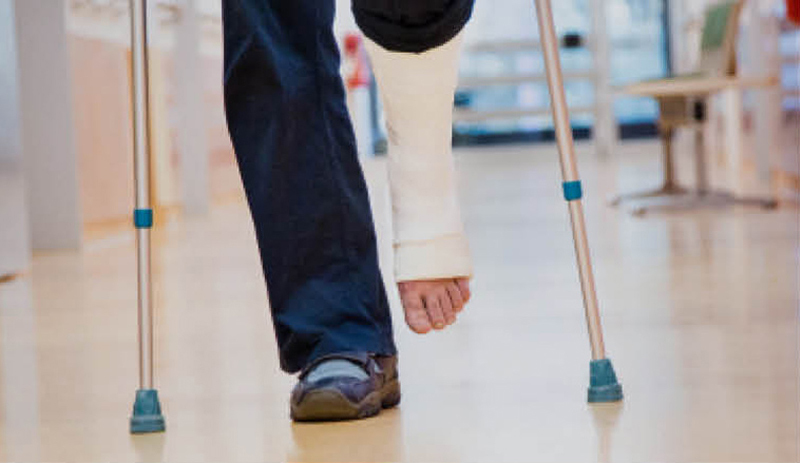 Expect to be discharged home on the day of surgery, with a temporary plaster of paris ‘backslab’ cast, and instructions to remain non weight-bearing with the help of crutches. The cast will be applied with your foot in an ‘equinus’ position, meaning toes pointed down. I will see you at the 2 week stage to check your wound and aim to start you gently weight-bearing in a protective boot with a number of heel wedges inside the boot to lift your heel and protect the Achilles tendon. I will advise you on an appropriate physiotherapy regimen and give instructions to gradually remove the heel wedges bringing your foot once more flat to the ground. With the guidance of physiotherapists, you will wean out of the boot and continue to undertake range of movement and strengthening exercises. It is likely to take around 3 months following surgery before you can return to normal activities and the muscles and tendon will continue to get stronger and improve over several more months. We will usually prescribe you some anticoagulant (blood-thinning) medication whilst you remain non weight-bearing in order to reduce your risk of developing VTE (venous thromboembolism), also known as blood clots/ DVT (deep vein thrombosis)/ or ‘economy class syndrome’. This depends on what your job involves and what surgery you are having. I generally advise at least 2 weeks off work, with rest and elevation of the foot to ensure sound wound healing. If you have a sedentary job, even if you are still non weight-bearing, you may return to work at this stage provided you can safely get yourself there and are able to elevate your foot during the day. It would be sensible to discuss this with your manager/ colleagues in advance and perhaps make arrangements for a phased return. 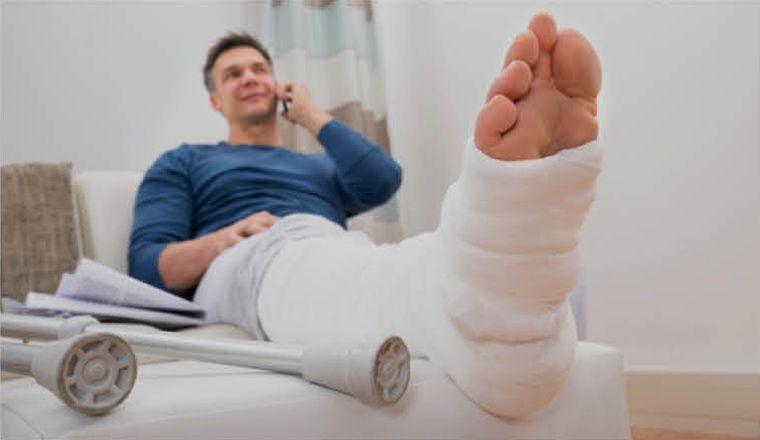 If your job is more physically demanding or requires prolonged time on your feet, then it will probably be at least 6 weeks before you can return, depending on your exact surgery and circumstances. The requirements for returning to driving are that you can safely control your vehicle and be able to undertake an emergency stop or other evasive actions if necessary. If it is your left foot which has been treated and you have an automatic car, then you will be able to drive almost immediately, although I advise against long journeys or prolonged periods with your foot down. Following treatment to your right foot or if you do not have an automatic car, you will not be able to return to driving until you are fully weight-bearing again on the foot and back in normal footwear. This will vary greatly depending on your surgery from a matter of days following most keyhole ankle surgery (arthroscopy) and other minor procedures, approximately 6 weeks following bunion surgery, up to 3 months following ankle or hindfoot fusion surgery. I recommend contacting your motor insurance company and DVLA before returning to driving. When will I be able to go back to my sports? As with driving (see above) this will depend greatly on the exact nature of the surgery undertaken as well as the nature of your sports. Rough time frames are of the order of: 6 weeks after simple toe or neuroma surgery and most keyhole (arthroscopic) ankle operations. 3 months after Bunion surgery, Achilles repairs or ankle ligament reconstructions. 6 months after hindfoot fusions or deformity corrections.